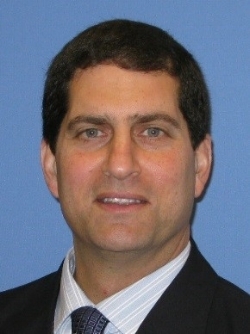 Joseph (Joe) DeFeo is the Executive Director of AJCU’s Ignatian Colleagues Program (ICP). In this role, starting in 2014, Joe is responsible for facilitating an eighteen month, in-depth program that engages senior-level administrators and faculty from across Jesuit Colleges and Universities in the United States in learning about the Jesuit and Catholic mission, charism, history, pedagogy, spirituality, and more of their institutions. Prior to ICP, Joe had served Fairfield University for 12 years working in both the academic and student affairs divisions in the creation of sophomore residential colleges centered on the theological exploration of vocation, as well as other living and learning initiatives and mission-centered programming for staff, faculty, and students. Joe is a certified spiritual director and supervisor for spiritual directors with the Murphy Center for Ignatian Spirituality at Fairfield University. Joe received his Ph.D. from Fordham University where his dissertation research centered on the viability of Ignatian pedagogy in Jesuit higher education and points of commonality it shares with other higher education pedagogical strategies. As an adjunct faculty, he teaches a course on Ignatian Spirituality, and gives workshops and retreats in areas including Ignatian spirituality, Ignatian pedagogy, discernment, and Ignatian advising. He earned his undergraduate degree and Master’s degree in Systematic Theology from Boston College. A long-time companion to the Society of Jesus, Joe has also served in other Jesuit ministries including Jesuit Volunteer Corps: Northwest and teaching theology at Jesuit High School in Portland, Oregon. He is married with two children and lives in Bethel, Connecticut. Thomas Kelly is a Professor of Theology and Director of Academic Service Learning at Creighton University. He completed his undergraduate education at the University of Notre Dame (’91) and his Ph.D. from Boston College (’99). From 1998-2002 he taught in the department of theology at St. Anselm College in Manchester, N.H and has been at Creighton University since 2002. Dr. Kelly has held various administrative positions at Creighton including being the founding director of the M.A. in Lay Ministry, the Academic Director of Encuentro Dominicano, Creighton University’s study abroad program in the Dominican Republic, Campus Director of Encuentro Dominicano, the M.A. in Theology and director of undergraduate majors. Dr. Kelly has taught immersion courses in El Salvador, the Dominican Republic, Bolivia and Peru over the past ten years. He has utilized immersion education, especially in reference to Fair Trade practices, to educate first world university students about the reality of global poverty and suffering, the response to this by the Catholic Church as well as their own obligation to use their privilege to make a concrete difference in the world. Sue Rush is the Administrative Assistant of the Ignatian Colleagues Program. Sue helps coordinate the logistics of the 18 month program that represent colleagues from all 28 of the Jesuit Colleges and Universities. Sue brings excellent organizational skills and will be a contact for participants and campus coordinators throughout the program. In addition to her duties as an assistant, Sue is also active in many organizations in her community. She is part of Fairfield Grace Staff Parish Relations Board, which is responsible for the well-being of our staff and liaison between church member and staff. Additionally, she is an active member in her church and continues to participate in their outreach and community events. Sue has been married for 20 years to her husband, Matt. They have four children, which have been her greatest joy in life. Joseph Shadle is Director of the Center for Mission and Identity and Founding Director of Institute for Ignatian Spirituality and Leadership at Xavier University. Joe works with Xavier’s advisory boards, faculty, staff and administrators helping them apply principles of Ignatian spirituality and Jesuit education to their positions within the University. In addition, he coordinates Xavier’s participation in national mission-focused initiatives and oversees the development of digital and print resources that support the educational mission at Xavier. His recent article Advancing Mission through Digital Resources was published in the Association of Catholic Colleges and Universities’ A Mission Officer Handbook: Collaborating with Partners. Prior to coming to Xavier, Joe served as Pastoral Associate for St. John Fisher Catholic Church and taught at the Athenaeum of Ohio. He continues to be an adjunct faculty member at Thomas More College where he teaches Understanding the Old Testament, Understanding the New Testament and World Religions of the West: Islam, Judaism and Christianity. He is a popular speaker specializing in scripture, ministry, education, and spirituality. Joe’s degrees include an MBA from Xavier University, a Master’s of Divinity and a Master’s in Biblical Studies degrees from Athenaeum of Ohio. He currently chairs the CPE Advisory Committee at Children's Hospital Medical Center in Cincinnati.